Celebrity chef and world-traveling CNN host Anthony Bourdain is dead at 61, the network said Friday. CNN said the cause of death was suicide. 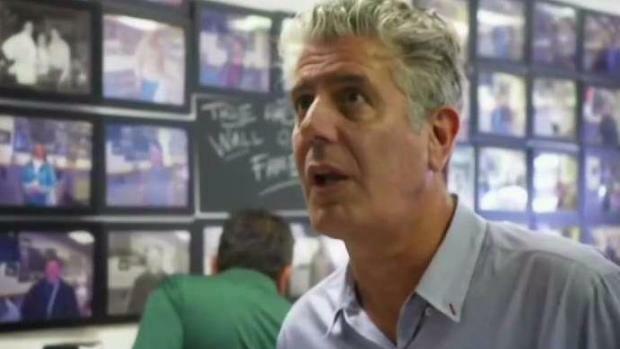 His friend, New York chef Eric Ripert, found Bourdain unresponsive in a hotel room near Strasbourg, France, where he was filming his show "Anthony Bourdain: Parts Unknown," according to CNN. French police confirmed to NBC News that Bourdain was found dead in a hotel room in Kaysersberg by apparent suicide. He was remembered as a great storyteller who used food to get at the deeper bonds between people across borders. Reporter Lauren Scala looks back on eating through New York City with Anthony Bourdain. CNN will air a tribute to Bourdain Friday at 10 p.m. ET, with a marathon of his favorite episodes of "Parts Unknown" airing Saturday night and the regularly scheduled new episode of the show airing Sunday at 9 p.m. ET with a special introduction from Anderson Cooper. Bourdain's 2000 book "Kitchen Confidential: Adventures in the Culinary Underbelly," an unvarnished look behind the scenes of the New York restaurant world, brought him international fame, which turned into a long TV career. 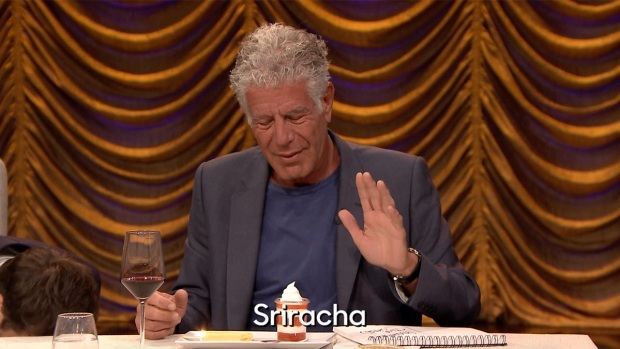 He brought viewers around the world to sample all kinds of cuisines on a series of shows, including the Food Network's "A Cook's Tour," Travel Channel's "Anthony Bourdain: No Reservations" and "Parts Unknown," which won four consecutive Primetime Emmys for outstanding informational series or special. That show also won a Peabody Award in 2013. "We ask very simple questions — what makes you happy, what do you eat, what do you like to cook — and everywhere in the world we go and ask these very simple questions, we tend to get some really astonishing answers," Bourdain said when accepting the Peabody. In 2016, he and then-President Barack Obama sat down for a dinner of "cheap but delicious noodles" in a Vietnamese hole-in-the-wall restaurant. "He taught us about food — but more importantly, about its ability to bring us together. To make us a little less afraid of the unknown," Obama wrote on Twitter after Bourdain's death. "We’ll miss him. Bourdain had written extensively about his life and detailed his early years of drug use, which he said had led to his dropping out of Vassar College after two years. He wrote about having depression in both his 2010 memoir, "Medium Raw," and "Kitchen Confidential." In the latter, he detailed a time of unemployment that left him "utterly depressed" and "immobilized by guilt, fear, shame and regret." Bourdain had told The Associated Press in 2008 that the birth of his daughter Ariane, now 11, had made him determined not to do anything "stupidly self-destructive" if he could "avoid it." CNN Chief Jeff Zucker told the network's staff in a memo Friday that, "while the circumstances of his death are still not completely clear, we do know that Tony took his own life." Ripert, the famous chef behind Le Bernardin who appeared on several episodes of his friend's shows, released a statement Friday wishing an "exceptional human being" peace. "Anthony was a dear friend. He was an exceptional human being, so inspiring and generous. One of the great storytellers of our time who connected with so many," Ripert said. "I wish him peace. My love and prayers are with his family, friends and loved ones." 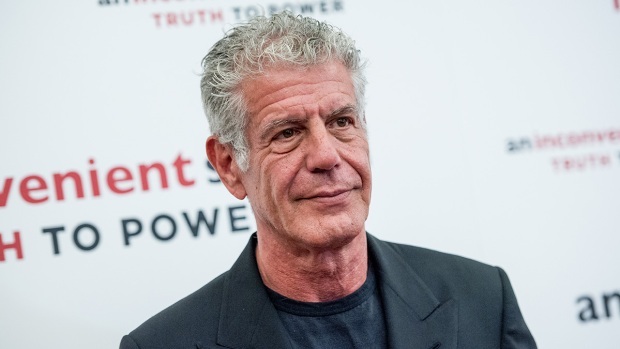 News of his death brought an outpouring of grief from other chefs and celebrities. President Donald Trump offered his condolences to Bourdain's family, saying at the White House Friday, "I enjoyed his show, he was quite a character." 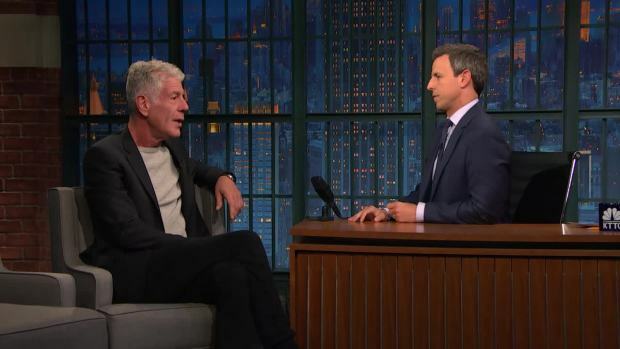 Bourdain was born in New York City and was raised in Leonia, New Jersey. He had written that his love of food began as a youth while on a family vacation in France, when he ate his first oyster. CNN is currently airing the 11th season of "Parts Unknown," and Bourdain was in France shooting an episode for the 12th season. CNN said it has not made a decision yet on whether it will proceed with the current season. Jimmy Fallon, Anthony Bourdain and Sienna Miller take turns guessing the unusual secret ingredient hidden in each course of a "gourmet" meal, earning points if they guess right. And HarperCollins Publishing announced Friday that Bourdain's imprint with the company, Anthony Bourdain Books, will be discontinued after the remaining works under contract come out. The imprint had released works by Daniel Vaughan and Marilyn Hagerty and is scheduled to released "We Fed An Island" by Jose Andres, the chef widely praised for his efforts to feed Puerto Ricans after Hurricane Maria. Bourdain said in January that the #MeToo movement left him "reexamining my life," wondering what unacceptable behavior he let slide when he worked in the kitchen, Bravo reported. "All the ugly stories about Weinstein were ignored ,suppressed until a few, heroic women came forward and went on record. They were vilified," Bourdain tweeted in October. Anthony Bourdain discusses obstacles when fiming 'Parts Unknown,' including working with bad fixers and getting labeled a government agent by Romania. Argento posted a statement on social media Friday, calling Bourdain her "rock" and "protector." 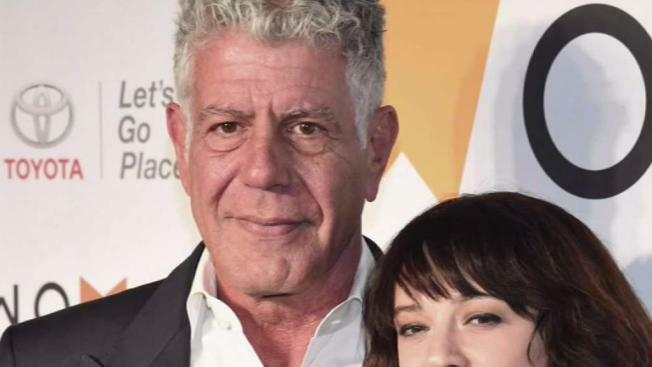 Last week, Bourdain told the news outlet Indiewire that he and Argento had become even closer after she stepped in at the last minute to direct an episode of "Parts Unknown," saying, "My God, I’d love nothing more than to repeat the experience. She made it incredible." His death comes the same week as another prominent New Yorker's suicide, designer Kate Spade. She was 55. 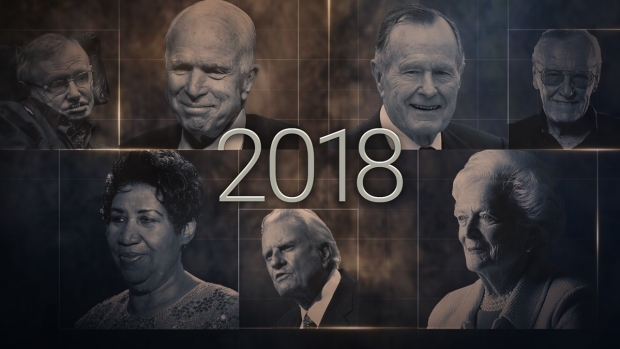 Suicide is among the leading causes of death in the United States, with rates up 30 percent since 1999, NBC News reported. Nearly 45,000 people died by suicide in 2016, the most recent year for which data were available. The increase affected both men and women and all racial and ethnic groups, with adults aged 45 to 64 having the largest rate increase and greatest numbers of suicides in the period, the Centers for Disease Control and Prevention said this week. Half of people who died by suicide had a known mental health condition, the CDC said. Relationship problems, substance abuse issues and job or financial troubles also contributed to the trends. NBC editor Liz Lane and The Associated Press contributed to this report.